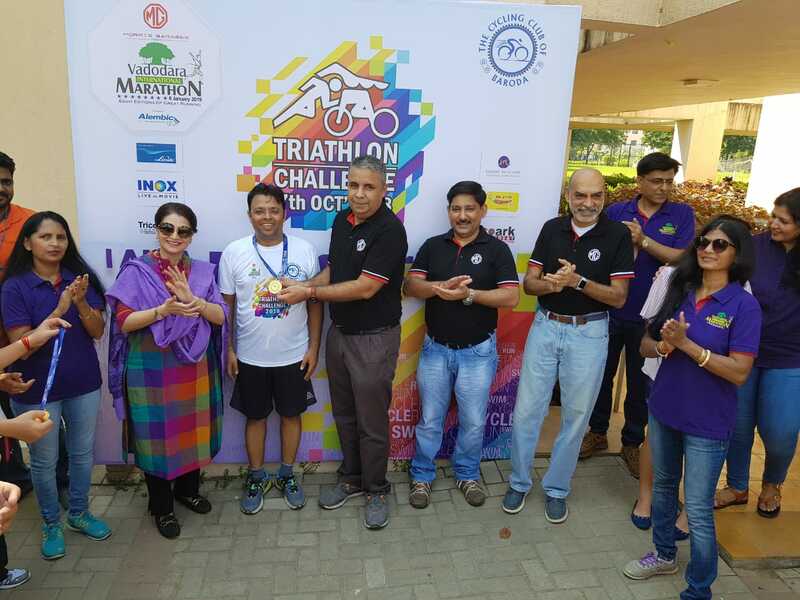 116 triathletes participated in the Triathlon challenge in Vadodara beating the hot sunny Sunday with their grit and determination. The athletes took part in the two different distance categories of Olympic and Super Sprint. The Cycling Club of Baroda successfully organized the Triathlon Challenge with the support of MG Vadodara Marathon on 7th October 2018, at Navrachna International School, Vadodara. 116 triathletes participated in the grueling challenge in two different distance categories of Olympic and Super Sprint. 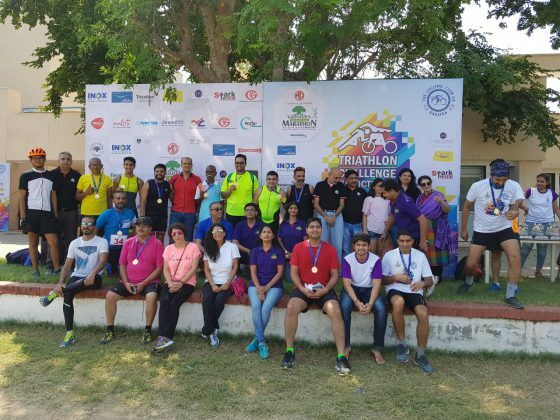 This was the 4th edition where 20 to 25 triathletes from Vadodara, Valsad, Bardoli, Ahmedabad, Surat & Jamnagar from Gujarat took part and test their limit. Olympic distance triathletes completed 1500m swim, 40Km bike & 10Km run while the Super Sprint distance triathletes completed 400m swim, 10Km bike & 2.5Km run. 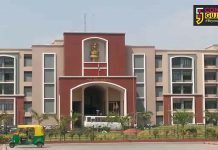 In Olympic Triathlon – Men’s Open Ingit Anand became the Champion Triathlete followed by Runner-Up Neeraj Kumar and Second Runner-Up Ajayrajsinh Jhala. In Women’s Open Priya Shah won the Champion Triathlete award. 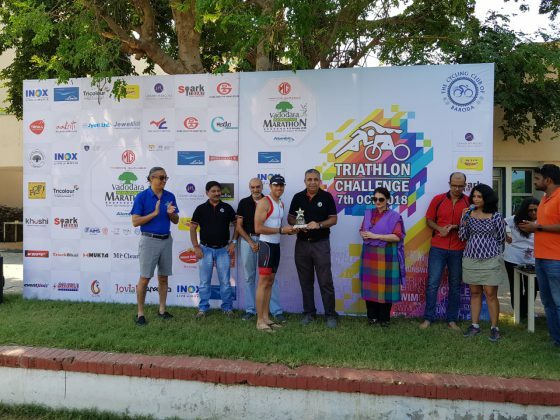 In Super Sprint Triathlon Men’s Open Vatsal Arjun was declared as Champion Triathlete followed by Runner-Up Rutvij Gosai and Second Runner-Up Zahir Khan. In Super Sprint Triathlon – Women’s Open Vrushti Gaurang Patel was declared as Champion Triathlete followed by Runner up Athia Khan. Tejal Amin & team from Vadodara Marathon along with Manish Manek & team from MG Motor presided over the prize distribution ceremony.